From time to time, parents of beginner (and more often than not, young) music students face a tough challenge: their child’s motivation to learn wanes to a gradual standstill. They no longer want to practice and it becomes a daily struggle just to get them to open up their music book that sits atop the piano collecting dust. Alas, dragging them to their weekly music lessons is as easy as drawing blood from a stone. As a music teacher, I admit my bias when I say that quitting lessons, no matter the age, instrument or level of the student, is probably the last thing you’d want to encourage. Like anything worth achieving in life, it is important to keep children, or even teenagers, in music through the good times and the bad. But, as some parents say, what if my child is just too young? Surely it would be better to wait until they are older, so they understand the importance of practicing and a good work ethic. 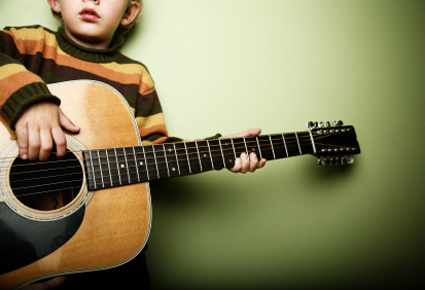 The answer may surprise you – it’s actually better if children start music at an early age. 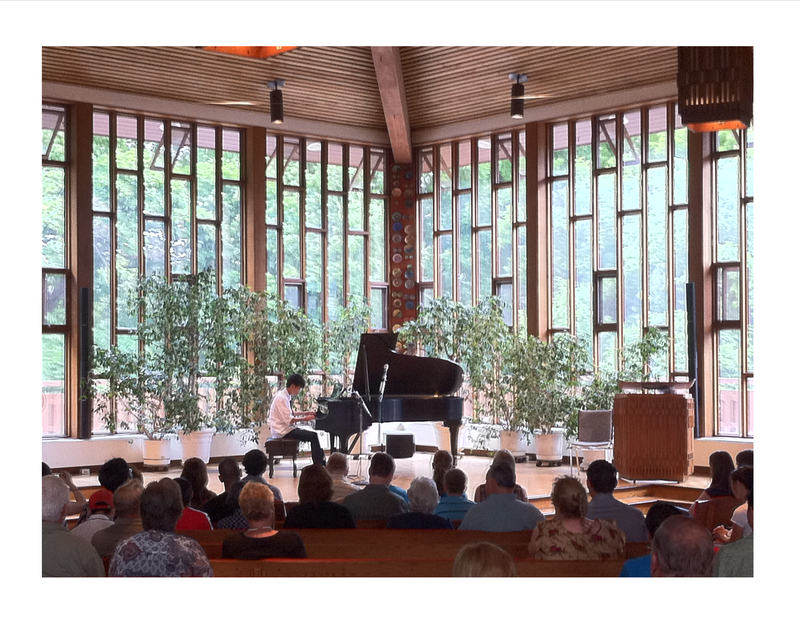 In fact, the younger the student, the easier it is: “You can put the study of science on hold, but not with piano,” says renowned musician and instructor Ernesto Lejano, who teaches one of Canada’s best known pianists, Angela Cheng. Not to mention the cognitive and developmental benefits that has been attributed to learning music early on in life. Even still, parents are often anxious to keep their children in music out of fear they may kill their child’s love for the art forever. Not true, says psychologist and author Dr. Susan Bartell of New York. “Children often give up quickly when success isn’t easy or immediate,” Dr. Bartell explains. And, because music is just like any other academic subject, some students won’t be successful right from the start. Like in math or science class, children should learn to push past the frustration of not being instantaneously good at something – the reward of success will be much more appreciated once they accomplish their goal! In other words, to allow a child to quit is to communicate to them that they are not capable of succeeding. Dr. Bartell suggests that if quitting is imminent, parents should continue with the activity until it reaches a “natural conclusion”, such as the end of a school year or term. So, you’ve decided it may not be time to end lessons just yet. How can you encourage your child to keep going without forcing their interest? Rome certainly wasn’t built in a day, and Mozart didn’t become a virtuoso overnight! It may take some time for kids understand what practicing is and how it will make them a better player, so don’t be too quick to assume that your child isn’t fit for music if they start losing interest after 4 or 5 weeks. The ebb and flow of enthusiasm will vary week by week; it’s important for parents to stay positive and encouraging even during those times where the student’s progress has stalled or hit a plateau. Music students, especially young beginners, will need to gradually get into the routine of practicing their instrument. It may take 3 to 6 months for them to get settled into lessons. Don’t overwhelm them by asking for too much practicing – even 5 minutes a day is enough to build a good foundation of musical knowledge. Parents need to keep in mind that their positivity will inspire their children to be positive themselves. Be sure to use encouraging words and phrases during your child’s home practices. If you are sitting alongside them, avoid criticizing or giving negative feedback. If you feel your child just isn’t getting one part of a certain piece, scale or riff, explain to them the benefit of trying again and how they will become better after repetition. Never assume or say they can’t do it. Along with creating a positive music education experience, it’s important to help create a supportive environment of inspiring peers and mentors where this student can turn to if they need help. If that environment or support network is not there, one doesn’t have much of a chance of getting through the (potentially tough) first months of learning the fundamentals! Additionally, make sure the physical setting where the student practices at home is warm, inviting and well-lit. 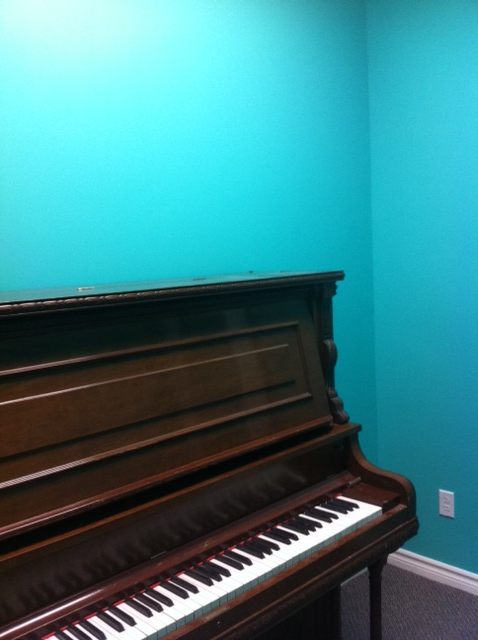 Students will be more encouraged to practice at a piano that lives around a main part of the house (like a family room or living room) then one that hides in a dark basement or is tucked away in a spare bedroom. To get the most of music lessons, communication with the student’s teacher is key. If you find it’s a struggle to get your child to practice, mention it in the next lesson, and ask for advice on how to best motivate them. Chances are the teacher will be more than happy to offer a handful of tools – practice charts, games, prizes, etc. – that will help encourage practice time at home. Letting your teacher know of a student’s struggles at home will allow them to tweak their approach to how they instruct so they can get the most out of each lesson. With the success of television shows like Glee, it’s not surprising that students young and old are starting to appreciate how much fun singing can be. But did you know how beneficial it can be, both physiologically and psychologically? A few studies have shown that the benefits of singing, while great in a one-on-one environment, can be multiplied when in the right group or choir setting. Singing exercises all the major muscle groups in the upper body; your abdominals, diaphragm, shoulders and back all get a workout each time you belt out a tune. Singing is an aerobic activity that improves the efficiency of your cardiovascular system and encourages you to take more oxygen into your body, leading to increased alertness. Additionally, with the help of stronger back and shoulder muscles, singing helps improve posture, especially with performing groups. In a choir, it is very vital to sit and, more often than not, stand properly and gracefully. Any vocal student or teacher will tell you a fundamental key to proper singing technique and endurance is correct breathing. In a choir or group setting, singers often will learn to negotiate very long passages in one controlled breath, which is very, very good for the lungs. Inhaling deeper fills every inch of our lungs’ capacity and enhances the way we use them, making them more efficient and stronger over time. It’s been observed that singers breathe remarkably slower than the non-singers. Research suggests breathing slowly, whether regularly or by practice for a few minutes a day, is enough to help some people nudge down bad blood pressure. Meditation, yoga and similar relaxation techniques that incorporate slow, deep breathing have long been thought to aid blood pressure, by relaxing and dilating blood vessels temporarily. Students who sing together will increase their self-confidence and also build and understanding of teamwork as the unit works together towards a common goal. In other words, it gets the group physically and mentally active in a new way, and gives them the chance to learn and grow from the other singers in their group. No to mention the fact that it lets students be creative! Singing groups provide a great artistic outlet for students to express themselves and gain personal satisfaction, improving their overall sense of musicality and appreciation. As rehearsals pass and time goes by, choir members will notice development in their singing proficiency, even if minute or gradual. Individuals who’ve had no prior vocal training, those that would see themselves stumble over the harder pieces at first, will slowly increase their repertoire and musical stamina. And, in a group setting, it’s possible this progress will be even faster thanks to encouragement from not only a choir director, but from your fellow singing peers. Even seasoned vocalists who’ve had, or continue to have, vocal training will see their development increase as their choir experience expands their repertoire and adds to their weekly practice routine. Eventually, the team of singers (both novice and advanced), will have been exposed to varying speeds of songs, reading new music and memorizing lyrics, which builds up stamina. As a choir matures they will develop a kind of group ‘cohesiveness’, ultimately bringing them more commanding voices and polished techniques as they go. If you’re one that regularly spends their week in front of a computer monitor, scanning heaps of prescribed school reading, or sits through hours of traffic on the way to school or work, a change of scenery and pace is always a good thing. While stress adds up in our daily lives thanks to work or family struggles, being part of a choir or singing group will allow you ‘de-stress’ on a consistent, proactive basis. Think of singing as a way to let off steam in a healthy and positive way. Furthermore, music has a way of igniting our emotions; singing, in turn, is one of the few activities that allow you emotionally peak and delve into an elevated mental sphere, to find release and resist burnout. 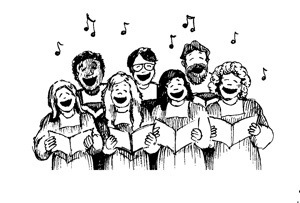 Choirs are often seen as the perfect complement to any singer’s regular practice routine. Just like playing in a band would benefit a guitarist or drummer, performing in a choir or singing group will help all singers improve, whether it’s a weekly practice or monthly get together. Ultimately, choir rehearsals won’t even feel like practice – just another opportunity to sing your heart out. A colleague of mine, Tashi, introduced a very clever music app to our teaching staff the other day. Tashi, a vocal teacher (and all-around musician – she also plays piano, guitar and violin! ), mentioned that she not only recommends this app to each and every one of her growing list of students, but encourages other teachers to take a peek as well. 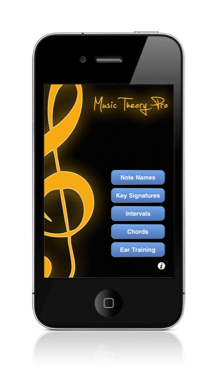 Called ‘Music Theory Pro’, and available for download off the iTunes App Store, it was developed by Dr. Joel Clifft, a professor of music at Azusa Pacific University and the University of Southern California. It’s used by teachers and students alike on many university and college campuses throughout the US. 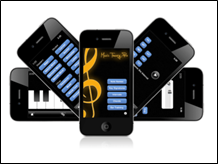 The reason why this app is so awesome probably lies in the fact that it is a toolbox full of music theory exercises, games and quizzes, and useful for beginners, intermediate and advance students. Complete various exercises in all of the above to sharpen your overall theory skills. This app is handy because any student can benefit from it; if you are training to be a classical pianist or contemporary singer, or just want to understand the basic rudiments, Music Theory Pro is chock-full of goodies to help anyone desiring to become a better musician. And, I think most teachers will agree, learning the theory side of things should be a component in all music training! Having an app of this nature right in your pocket is a great way to motivate students by having an easy-to-understand structure and entertaining learning platform…much more entertaining than scribbling notes in a theory book. The importance of rhythm – and why all students should master it! The word ‘rhythm’ stems from the Greek word rhythmos, meaning “any regular recurring motion, or symmetry”. In music, rhythm is about when notes, chords, and other musical sounds begin and end. As a result, rhythm is the essential ingredient in all music. No matter what instrument a student is learning, everyone needs good rhythmic foundation. Melodies, scales and chord patterns are all dependent on a piece’s rhythm. The importance of developing a strong sense of pulse or rhythm is a crucial element when learning to play – and being taught the basics of rhythm starts in the very first lesson. And, as students’ progress, it will become easier for them to understand why something doesn’t sound exactly as it should – more often than not, it is rhythm which needs work or changing. By developing a good sense of rhythm students will be able to better identify when the pulse or beat is off. Mastering rhythm is essential for many “rhythm section” instruments: bass, drums, and rhythm guitar and piano. Even melodic parts, like vocals or lead guitar, need to understand the rhythm in order to play fluidly with accompaniment. Rhythm exercises should be a part of a student’s daily practice regimen. Mix rhythm exercises together with scales, arpeggios, songs, and various techniques. While playing with metronomes will no doubt make everything tougher, it is a great way to get used to playing with an outside beat. Sometimes, when students tap the beat themselves, or count aloud, they unknowingly slow down in the harder spots, or speed up towards the end of a piece. 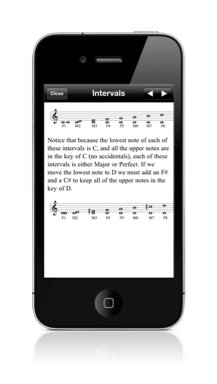 Using a metronome will allow practicing with a steady, constant beat. Start out simple and work your way through more complex patterns. Clapping and counting rhythms out loud is a great way to become more comfortable with rhythms, especially for students who learn best through auditory methods. For visual learning, write in the rhythm (1 + 2 + 3 + 4+…) in before playing or clapping. Rhythm is expressed, stated, and describe with a time signature, which defines the note duration and time relationship. A rhythm in 4/4 time will be different than one in 6/8 time, so make sure you understand these values first, before counting or playing. More complex rhythms will have these components which will increase difficulty. Make sure to spot these tricky parts and work on them separately at first! Any new rhythm should be practiced slowly, giving full value to all notes, rests and any other markings in between. Start as slow as needed so there are no unwanted pauses between sections or phrases – and challenge yourself to go faster once you have mastered a lower speed. Listening to the piece before attempting to count, clap or play it will help your ear identify if you are doing it correctly or not. For another challenge, try playing along with the recording and see if you can match the rhythm, once you have a good grasp on it! Not sure where to begin with your rhythm practice? Download the exercises below! Surprisingly enough, kids can actually start formal music training as early as age 3, when their brain circuits start to mature and are ripe for learning music. Studies have shown that learning music as young as this can increase brain development and cognitive power. Observe and listen to your child attentively. Could they be displaying an interest in music that they don’t yet know or how to verbally express? Are they running around the house dancing, singing or creating rhythms on their own? A full-sized instrument (such as piano) may be too intimidating for them; your child may be comfortable with creating sounds and rhythms using familiar object and toys. This could be an indication that they enjoy music and would appreciate lessons. Young children who display a natural fascination for music will soak up lessons faster than those who display no interest at all. Look for signals that your child enjoys listening, dancing and creating music on their own. Do they talk about music? Do they ask questions about sounds, make comments about different tones, pitches and timbres? The more they display an inclination to music, the better suited they will be for classes. Talk to your child! Discuss with them how music lessons work, what is involved and what they need to put in. Explain the benefit and necessity of consistent practice and how it will make them better over time. A lot of young students love making music and hearing sounds, but they can fail to understand that music lessons, like regular school, require a little bit of effort to make it enjoyable and beneficial in the long run. If your child is okay with putting in the effort to learn, they may be ready to go! Even if, as a parent, you have no background in music or the arts, it is important to lend support and encouragement to your child if they are keen on taking lessons. Even when a child doubts their own abilities, stay supportive and remain positive; explain that hard work is necessary but the benefits far outweigh the costs. If they do well, praise them! Let them know you are proud. It is important that your child knows they have a network of support so they will want to continue to learn. Never, ever, force a child to learn music if they absolutely do not want to. This will only lead to a waste of their time and yours. Keep in mind, if a 4 or 5 year old displays no interest in music, that may not be the case a few years down the road. Starting a child too early is music can have adverse effects and ruin any love they could develop for that particular art if they are given the time to express it on their own, at a later time. First and foremost, learning to play an instrument should primarily be enjoyable. If your child isn’t enjoying it, then perhaps it isn’t time just yet. It’s not an exact science to determine the proper age for a child to start taking formal music lessons. As a parent, it’s up to you to determine if your child is ready based on what you’ve seen and the inclinations of each child. If you don’t think your son or daughter is ready for formal music lessons, try joining an early music education program which focuses on fostering a love of music, rhythm, and self-expression. By exploring how different instruments sound, and how music makes them feel, your child may learn to appreciate music more than they realized! No matter what the scenario, age, or instrument, the most important thing is that your child’s experience with music is fun! Why you should get your piano tuned…regularly! Piano is likely the most popular instrument for music students, especially for young beginners when choosing what musical direction to take first. That means a lot of parents will invest a great deal of money into buying an acoustic piano for their child to practice on and progress with, which is great in the long run and well worth the price. However, many students, parents and teachers alike don’t realize how often a piano should be serviced. Once a year? Every time it’s moved? Many experts, including Ottawa-based Tuner-Technician Kazimier Samujlo, B. Mus., B. Ed., actually disagree with both answers. He recommends a piano be tuned at the change of every season. That means, in countries where the climate changes three or four times a year, your piano should be tuned each and every time. The Piano Technician’s Guild (www.ptg.org) explains why it could be: Because your piano contains sensitive materials such as wood and felt, it’s affected easily by climatic conditions. Extreme swings in temperature can cause unrecoverable damage to the instrument. When the weather goes quickly from hot to cold, or dry to wet, the piano’s materials will warp and change, causing some parts to swell and contract. Ultimately, this can affect a piano’s tone, pitch, action response and touch. On top of seasonal tunings, Samujlo goes one step further and often suggest his clients follow an all-around care routine for their beloved piano. “A regular maintenance program keeps your piano operating perfectly, makes the player happy and willing to practice more,” he explains on his website, http://www.manotickpianotuning.com. Keeping your piano clean. Clean the keys by occasionally wiping them with a damp cloth and drying them immediately. Avoid cleaning with aerosol spray polishes that contain silicone. Maintain consistent temperature and humidity where your piano is placed. It’s important to keep your piano away from a heating register in winter, an air conditioning vent in the summer, a fireplace, a frequently opened window or outside door, and direct sunlight. Play your piano regularly. Tuning a piano after years of not having been played often requires more repair than just a standard tuning, such as a pitch raise. As a piano ages without being used, it may begin to develop more major problems — like rebuilding or reconditioning. Keep all food and drink away from the piano. Never, ever, perform repairs yourself. When it comes time to move, use only a professional piano moving company to do the job. On top of regular tuning, a certified and experienced piano technician will be able to help sort out a handful of problems that you may encounter with your piano. Services often include refurbishing, restringing, cleanings and appraisals to make sure your instrument looks, feels and sounds as good as new. Kazimier Samujlo is based in Manotick, Ontario, and provides piano tuning and repair services in and around the Ottawa area. To get in touch with him, call 613-692-2701 or visit his website.